When you have a problem with your sewer that needs to be fixed, chances are you’ll need to undergo some type of excavation in order to get to the sewer pipes. Even if you opt to go with a trenchless method, you’ll most likely have to select from one of the types of excavation methods offered. Knowing the difference between each type used for sewer line repairs can help you make a more informed decision. The most traditional type of is external excavation which consists of tunneling down to the sewer pipes from the outside. This is the type of excavation that usually results in landscapes having to be ripped up in order for workers to get down the sewer lines so that they can work on them. 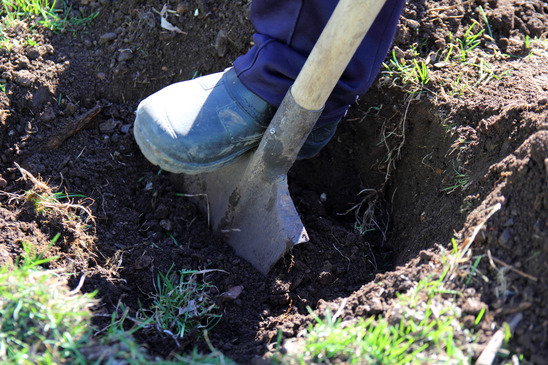 External excavation generally takes the longest amount of time and can sometimes cause damage to landscapes and structures, but it provides you with a sure way to get down to the pipes when all else fails. Interior access excavation consists of excavating the pipes via jackhammer slab penetration. In this method, a jackhammer is used to dig a hole directly down to the source of the leak. This type of excavation can be invasive within the home when the leak is located in certain locations, and it could result in flooring having to be replaced. This type of excavation might be ideal in situations where there is only one leak, but if there are multiple leaks that will require multiple holes to be jack-hammered, then it’s probably best to go with an external excavation, which is also more cost effective. Re-routing new sewer lines around the outside of the structure is a type of excavation that is the least invasive since it can oftentimes be conducted without having to disturb much, if any, ground area. Cured-in-place piping, for instance, is a type of re-routing that essentially provides you with a new pipe within your old one by pulling a pipe lining through the existing pipework and then applying pressure to the lining that makes it expand to fill the existing pipe. Trenchless excavation such as these are becoming more and more popular with those looking for Dallas sewer repair since they don’t require people to disturb their landscapes or architectural structures, and they usually don’t take as long as traditional methods either. Many types of sewer lines end up having a combination of the above listed methods to repair them. For instance, while cured-in-place piping is mostly trenchless, sometimes it does require the drilling of access holes where the piping can be run through in order to place it within the old piping. This type of method that is most ideal for your home depends on your unique layout and repair situation. Whereas a traditional external excavation might be the cheapest and most feasible option for some cases, a trenchless sewer pipe repair approach might be the best one for other homeowners.